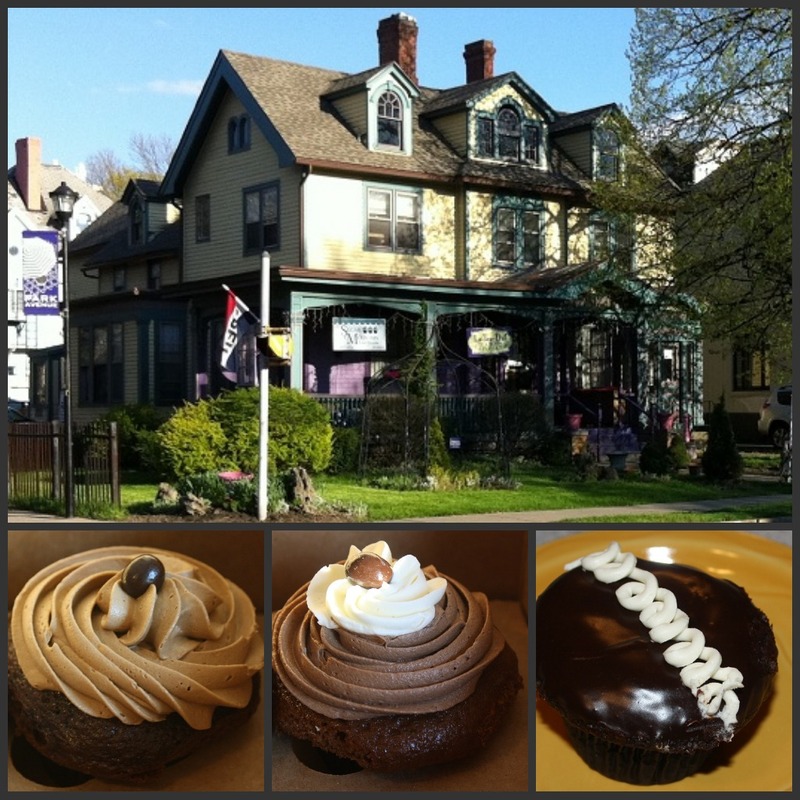 I had two wishes for Mother's Day: a new garage door opener (I'm nothing if not practical) and to try the cupcakes at Sugar Mountain Bake Shoppe. So on the Saturday before Mother's Day, while my husband and 16-year-old son worked on the garage door, my younger son and I headed to the trendy Park Avenue area to pick out cupcakes. The building has small rooms. 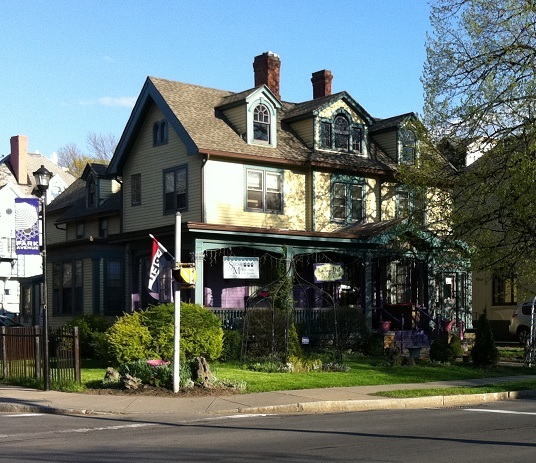 Some are decorated in a Victorian style and some have a more current look. There's also a cute front porch -- I'd love to go there with friends. 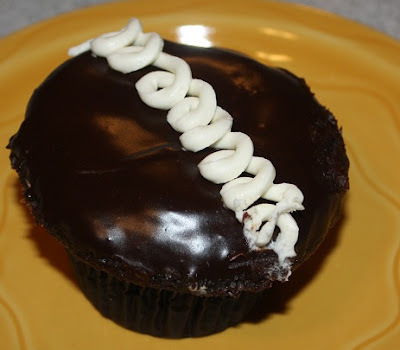 Devil’s Twist : Dark chocolate cake with a white cream filling, dipped in chocolate ganache -- it looked like a Hostess cupcake. Cookies and Cream: Dark chocolate cake with a chocolate cookie crust filled with white cream, topped with white chocolate buttercream and chunks of crushed chocolate cookies. My 13-year-old son devoured it the moment we got home on Saturday. I barely had time to snap this picture..
Cappuccino: Chocolate espresso cake filled with mocha ganache, topped with coffee buttercream. My 16-year-old son gave it a thumbs-up. 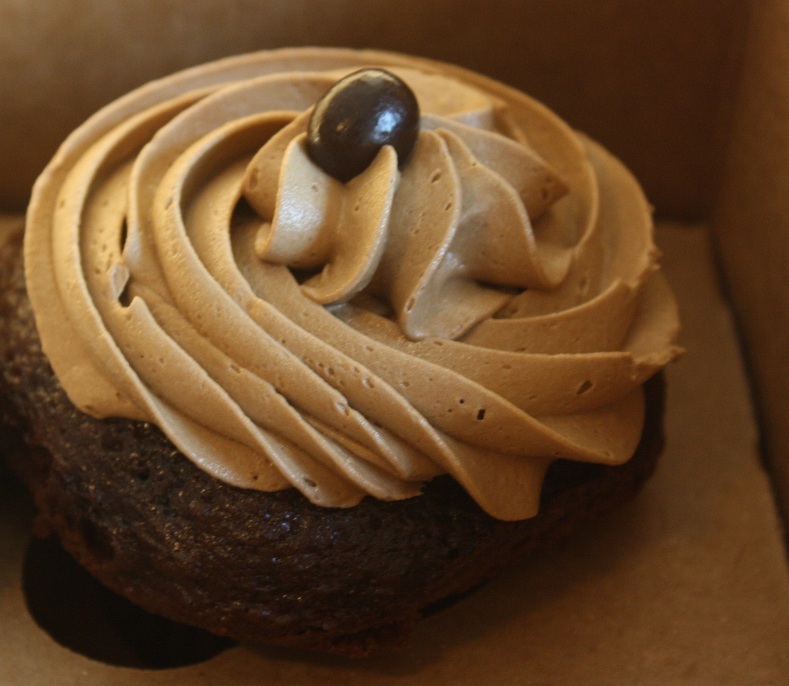 White Russian: Vanilla cake baked with kahlua and vodka, filled with kahlua chocolate ganache, topped with mocha buttercream. This was my favorite -- my husband's, too. 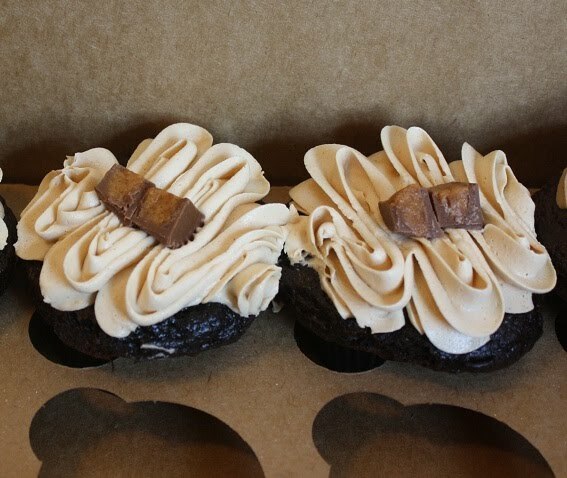 Chocolate Peanut Butter: Dark chocolate cake with peanut butter cream filling, topped with peanut butter buttercream. I thought the peanut butter filling and frosting obliterated the flavor of the chocolate cake. - The cakes. They were light and a bit crumbly. My personal preference is a denser, moist cake. And I felt that the chocolate flavors could have had a more pronounced chocolate flavor. 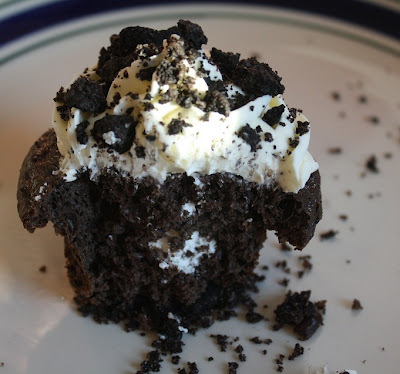 - If I'm really being nitpicky, the cakes had "muffin tops." 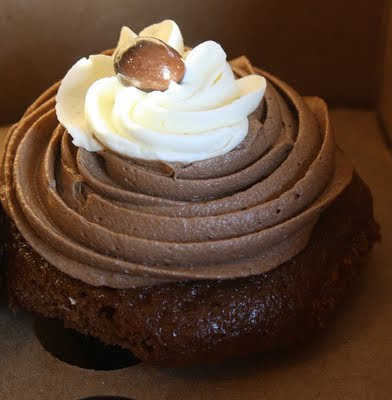 While I like them on muffins, I thought they made the cupcakes a little awkward to eat. But that's truly nitpicking. - The way they looked. You eat with your eyes first, and these were artfully done. - All of the fillings and frostings. They were light and fluffy, not as sweet and heavy as typical bakery buttercreams. Sugar Mountain Bake Shoppe set a benchmark for my upcoming cupcake baking projects -- I'm going to give more thought to how I decorate various flavors. I'll also be sure to go back with a friend and enjoy a cupcake on their porch in the summer.